When wine has been lying in a tank for a while, the tartaric acid inside the wine tends to crystalize against the inside of the tank wall. There are a few different ways to get this off, but Alta got inside this big wooden tank with her high pressure gun, and she sprayed it off! 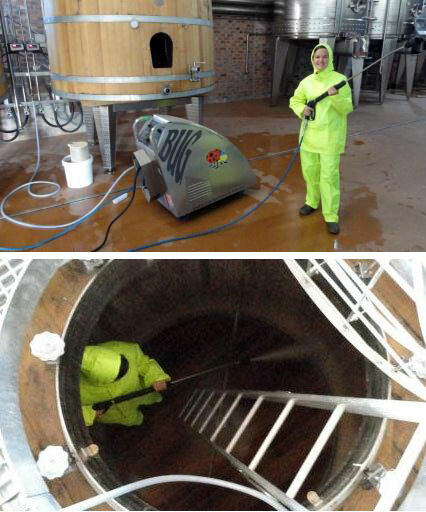 Winemaking sounds like such a glamorous profession, doesn’t it? Lekker man Altie! Stick by die groen gear!